Supreme Court today adjourned the hearing on death row convict Devender Pal Singh Bhullar’s plea for commutation of death sentence to life imprisonment till March 27 as Attorney General GE Vahanvati sought more time on grounds that the government is yet to take a decision on Bhullar's mercy plea. The Centre had earlier assured the Supreme Court that the Khalistan Liberation Force terrorist will not be executed. The assurance came in the wake of a mercy plea filed by his wife which is still pending before the President. The Centre on the previous hearing told the Supreme Court that 1993 Delhi blast convict Bhullar won't be executed because of his health. Delhi's Lieutenant Governor has also recommended that Bhullar not be hanged on humanitarian grounds. In his report forwarded to the President, the L-G has said that the fresh mercy petition, filed by his wife, cannot be rejected. Today, the government has also informed the court that the Home Ministry was looking at the Delhi Lieutenant Governor's recommendation that his plea be accepted. 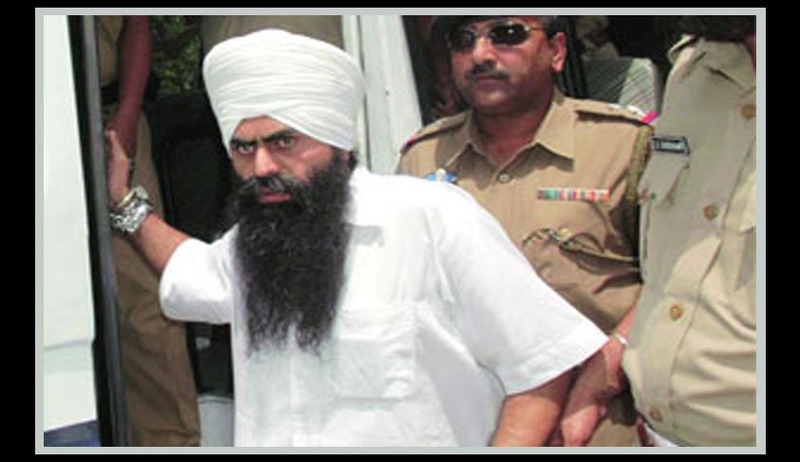 The Supreme Court was hearing Davinder Pal Singh Bhullar’s case in the background of the recent judgment where the Apex Court had held that death sentence can be commuted to life imprisonment if there is inordinate delay in deciding a convict's mercy plea. Medical conditions and solitary confinement of a convict, too, were framed as reasons to commute death to life. It even overruled the judgment delivered in Bhullar's case - where the court had refused to show mercy on the ground that he committed a terror crime - saying there cannot be distinction between terror and non-terror cases while giving relief to convicts on account of delay in their execution. Bhullar's wife filed the present petition seeking review of the apex court verdict which rejected her plea to commute her husband’s death sentence to life imprisonment, on the ground of delay on the part of the government in deciding his mercy plea. Incidentally, it is relevant to point out Mahendra Nath Das vs. Union of India and Ors. (2013) 6 SCC 253, wherein the very same bench, taking note of the fact that there was a delay of 12 years in the disposal of the mercy petition and also considering the fact that the appellants therein were prosecuted and convicted under Section 302 IPC held the rejection of the appellants' mercy petition as illegal and consequently, the sentence of death awarded to them by the trial Court which was confirmed by the High Court, commuted into life imprisonment. In the light of the same, we are of the view that the ratio laid down in Devender Pal Singh Bhullar (supra) is per incuriam. There is no dispute that in the same decision this Court has accepted the ratio enunciated in Triveniben (supra) (Constitution Bench) and also noted some other judgments following the ratio laid down in those cases that unexplained long delay may be one of the grounds for commutation of sentence of death into life imprisonment. There is no good reason to disqualify all TADA cases as a class from relief on account of delay in execution of death sentence. Each case requires consideration on its own facts. Weeks later the Supreme Court commuted the death penalty of the accused persons in the Rajiv Gandhi assassination Case also. It is in these circumstances the Supreme Court is considering the Bhullar’s case again.